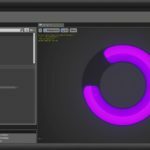 SDF Robo Progress Bars is a powerful and advanced master material usable for creating a wide range of customized progress bars. 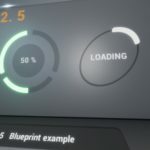 SDF Robo Progress Bars is an advanced master material usable for creating a wide range of customized progress bars. Package contains over 50 predefined excellent styles easy to use for various types of games. 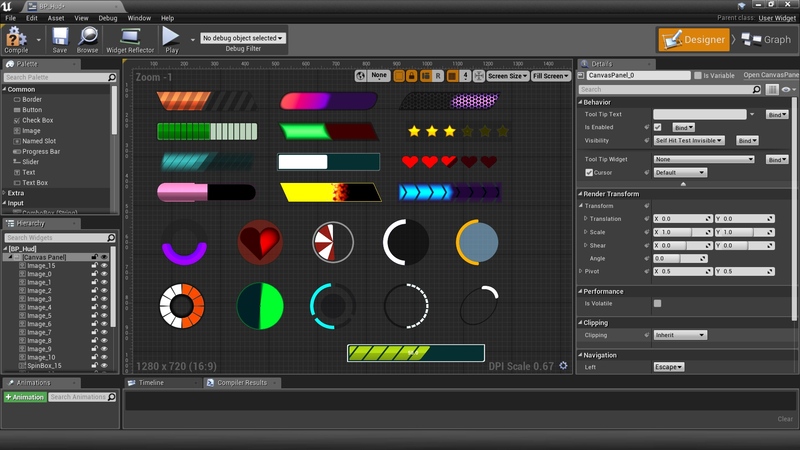 Material supports advanced customization that covers most of the possible design requirements. 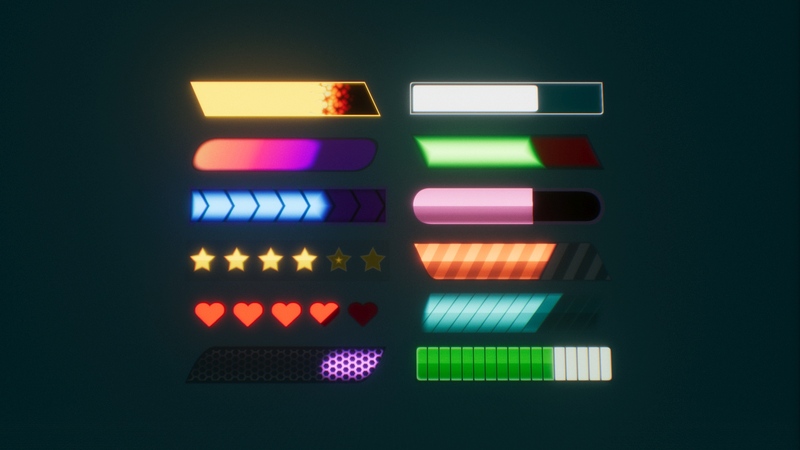 Thanks to using SDF functions instead of huge textures all created progress bars always stay sharp, well aliased. Two types of shape circle bar/rectangular bar. Fully callable and extendable for more shapes. 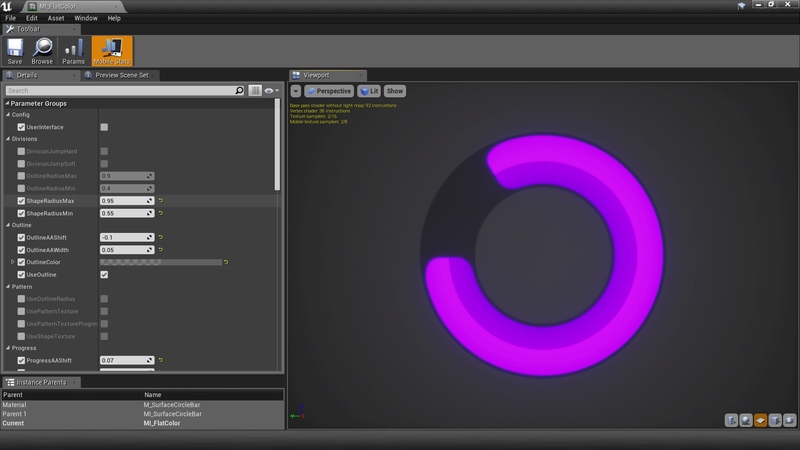 Signed distance functions based rendering. The shape is generated from mathematical functions that give the quality of ‘Vectorized’ graphics without using huge resolution textures. KISS – One mesh per bar. Can be mixed with SDF and standard textures. 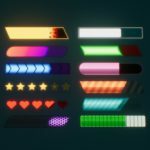 Rounded corners of shape colors patterns and progress bar showing. GPU friendly, one draw call per bar. 23 different example themes that can be adjusted to requirements. Unlimited user-defined themes can be created easily using the available properties. 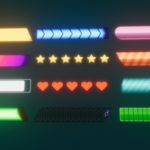 Multiple advanced effects of progress bar – burning/fade. Easy to integrate witch UMG. Supported reparenting of themes between different shapes. Flexible modification options, each bar presented in this package can be created directly from another. Select bar from group ExamplesSurface/ExamplesUmg. Find a bar that looks closest visual to effect that you would like to achieve (all bars share the same functionalities so can be modified one to another but it’s faster to start from some point). Create duplicate or material instance from the selected bar. Set the name for the newly created instance of material. It’s good practice to start name from MI_Surface or MI_Umg. 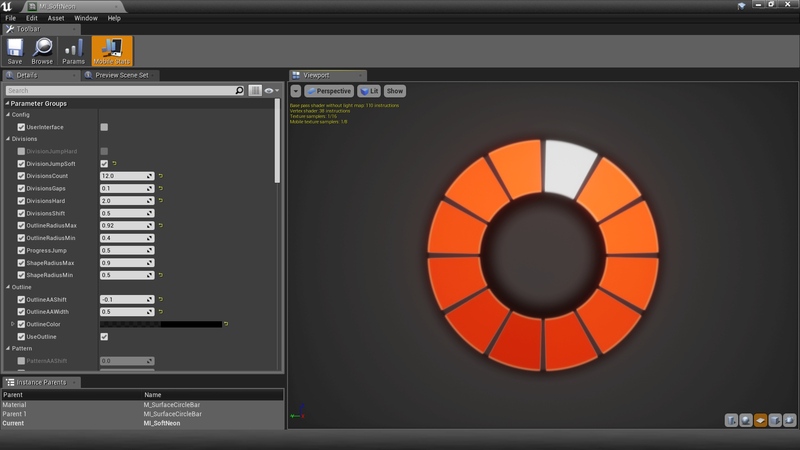 Open material and modify parameters. Modify the parameters of the new bar according to your requirements. BarType – System is divided into two separate material instances that allow using this system on the surface meshes as well as on UMG widgets. 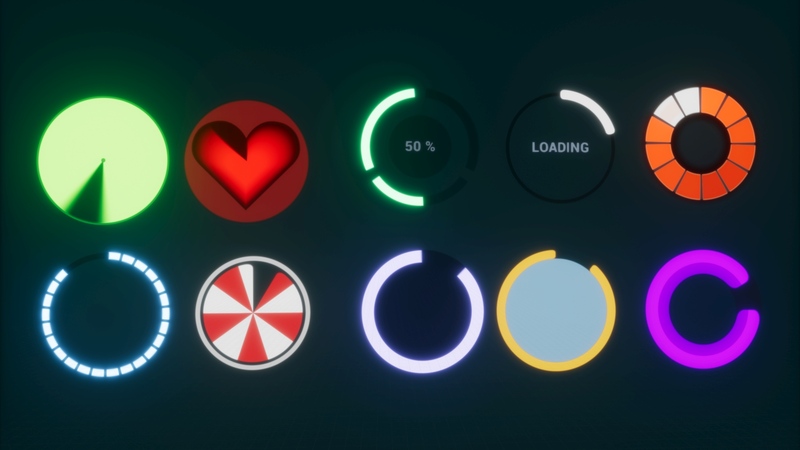 Umg – material can be used on hud controls (widget elements). Surface – material used on regular meshes (planes in 3d space). Check ExamplesSurface folder to see all examples prepared for surface bars. UseInterface switch set false (for optimization). 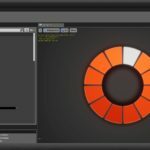 BarShape – Allow to chose the basic method of bar visualization. Rect – classic rectangular bard that fills from on side to another. 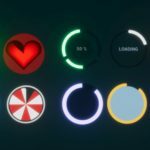 Circle – advanced bar that fills the circle. Check ExamplesUmg, ExamplesSurface, ExamplesUmgCircle, ExamplesSurfaceCircle, folder to see all examples. First place the Image widget on the hud widget. 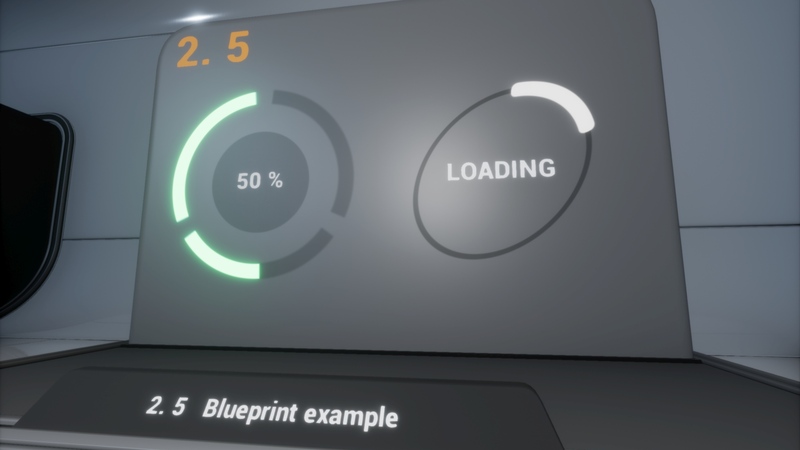 Setup the material parameter called “Progress” in blueprint graph. 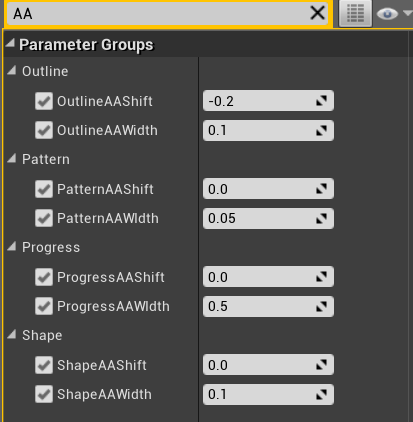 You have to get dynamic material instance from the widget and set the parameter value. Progress is a basic value parameter in the master material in range between 0.0 (empty) and 1.0(fully filled) used for setting how much progress bar is filled. Signed Distance Field is an image where each pixel contains the distance to the nearest point on the boundary. An additional sign of distance allows determining if the pixel is inside or outside rendered shape. SDF image that looks like gradient can be loaded from a file or generated by mathematical functions called Signed Distance Functions. One of the biggest benefits of using this method is very cheap and configurable antialiasing effect. 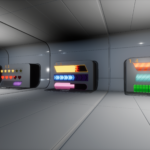 The same method is used to render outlined/smooth high-quality fonts in Unreal Engine 4 based on low-resolution textures. 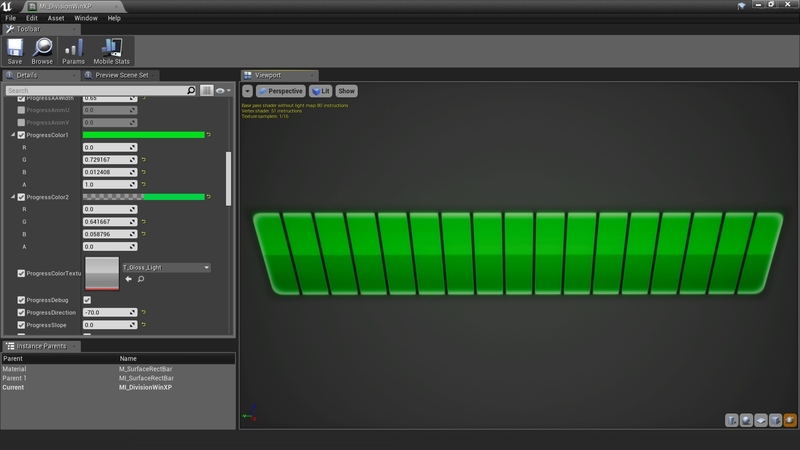 Package SDF Robo Progress Bars uses this method to render all bars in multiple ways. The progress bar is divided into 4 basic layers that are combined into one using translucent blending. Each layer is configurable and implements some additional effects. Example progress bar with colored layers of the bar outline (white), shape (black), progress (red), pattern (blue). The outline effect is very common in progress bars, it’s a great tool to highlight the shape or separate bar from the background to make it more readable. Outline layer is represented by the base shape. 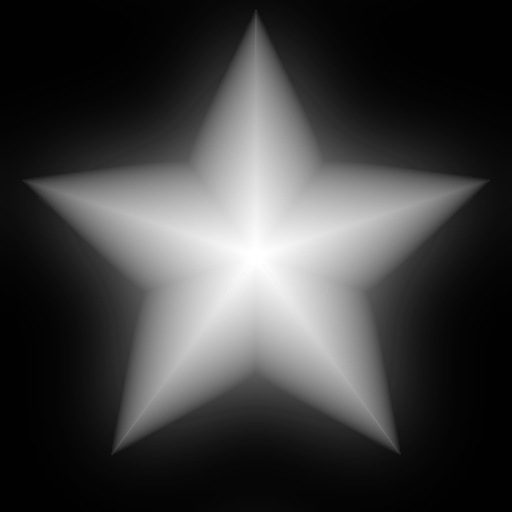 In final effect, it can be rendered as shape, filled background or stay invisible. Use Outline Switch that determinates whether the background outline should be rendered. When disabled then the background is filled by one color. Outline Color Color of outline/background layer. To make it fully invisible change color alpha to 0. Shape layer is to describe the shape of the bar and it is represented by combined signed distance functions. Shape layer is always active. Use Shape Texture Allow using SFD texture as shape description. Use Shape Color Texture Fill the shape by texture color multiplied by shape color. Shape Color 1/2 Colors of divides shape. Shape Edge X/Y Edge scale allows fitting bar into different aspect ratio. Shape Scale X/Y Scaling the visual part of the bar to fit into the mesh model. Use Shape Round 1/2 Enable/Disable round corners on shape. Shape Round Strength of round corners in shape. Progress layer is used for drawing current progress (how much shape is filled by color/texture/effect). 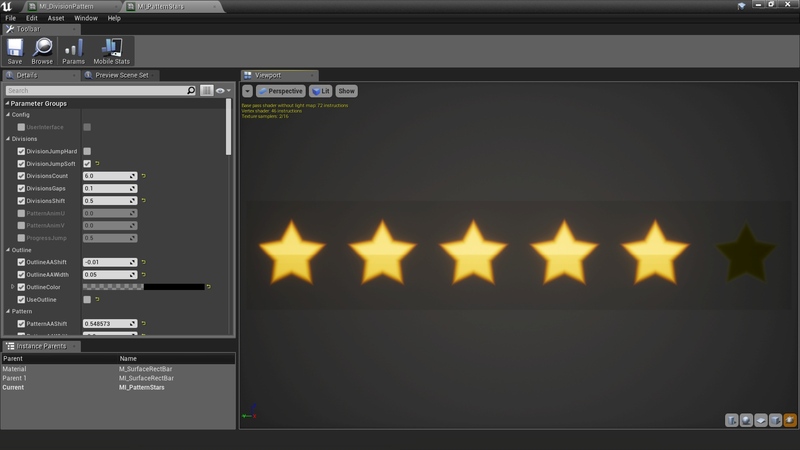 Progress Parameter used to steering fill of the progress bar. Active only when Debug is disabled. Progress Debug Debug options override the behavior of progress bar by default to visualize the effect of changes in the preview. 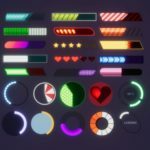 ProgressAnimU/V Sets animated UV of progress bar texture. ProgressUV Define progress texture UV mapping. XY- Position, ZW-scale. ProgressColor1/2 Sets separate colors of the pattern used on the bar. Use Progress Color texture Allow to use progress color texture. 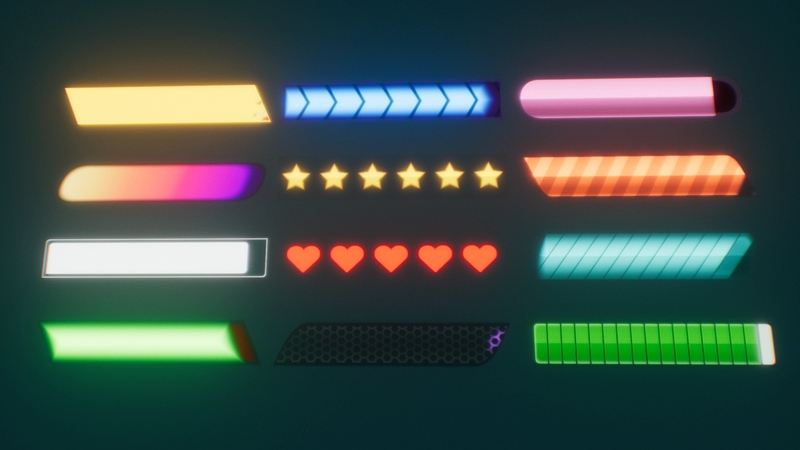 Texture of progress bar sampled based on ProgressAnimU/V. The final color of the bar is calculated by the multiplication of Colors and Texture. This option is useful for an additional effect like gloss/shadow. Two functionalities in one parameter. Allow changing the direction of progression by setting positive-negative value. The negative value means that the bar will be filled from left to right and the positive from right to left. The absolute value of this value represents the blending of the progress bar into the shape layer. Big value = hard edge/small value = soft edge. leaning of progress bar lines. 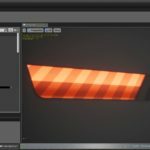 Allow to use round corners on the progress bar. Represents the roundness of progress bar corners. If true then progress texture will be moved when Progress parameter changes. Pattern layer describes the scheme of a division the bar into two colors. Use Divisions Allow using automatic division of the bar on two colored patterns. Divisions Jump Hard Hard jumping between progress values. Round to closest. Divisions Jump Soft Soft jumping between progress values. Divisions Count Number of divisions on the bar. Divisions Gaps Distance between divisions bars. Use Pattern Texture Allow using texture as the division of the bar into two colored patterns. Use Pattern Texture Progress Allow using texture as the division of the progress bar on two colored patterns. Each layer of bar contains parameters designed especially to control antialiased and smooth edges. 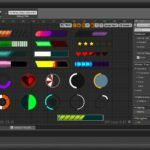 This functionality allows to set up hard or soft blending between lower and higher layer. Width Range of smoothness. Bigger value allows making smooth edges of the layer. Shift Parameter shift is related to zero position on SFD. Determinates the edge size of the layer. Can be used to set up outlines. 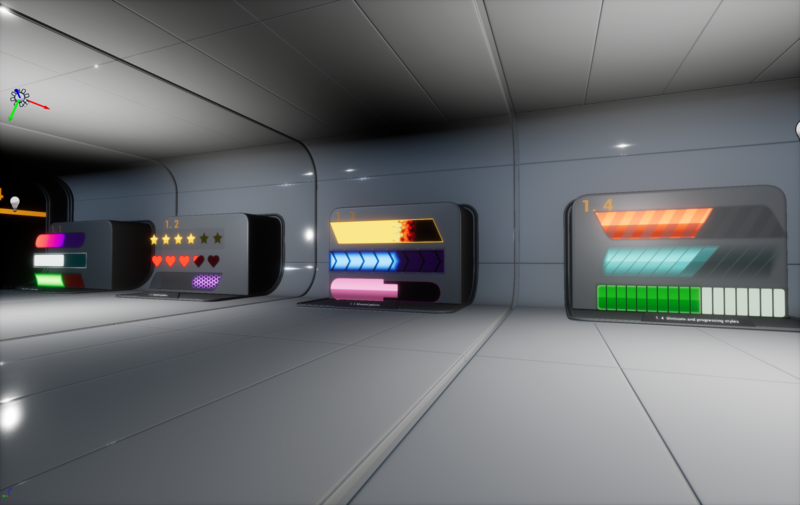 Sometimes there is a need to change Surface material into UMG to render on hud without loss of all parameters set in the material. 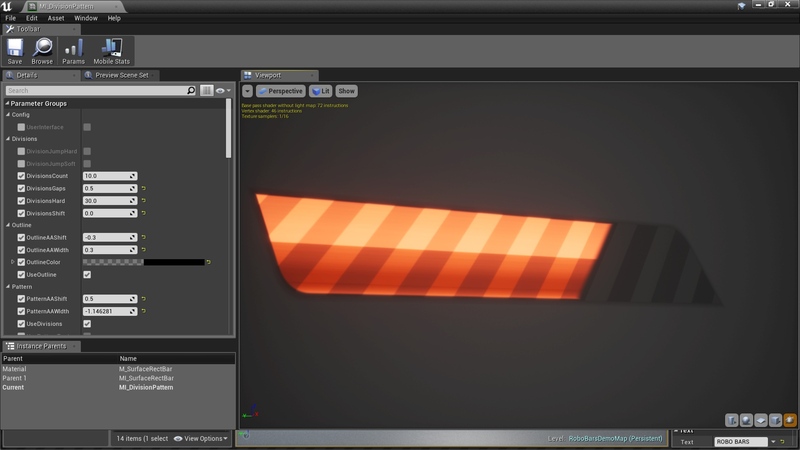 This operation is well supported by UE4. Find option General->Parent and change to MI_Umg*Bar/MI_Surface*Bar depends on your needs. 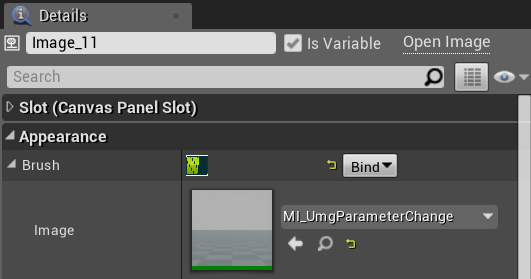 UMG does not support vertex interpolators so UseInterface needs to be set false in materials used in UMG. Surface allows for vertex interpolators so it is used as an optimization. Just modify the material of stars that you want to change. Why I can’t control the progress value? It's because of the debug option "Debug Progress" is enabled by default in all bars. That is very useful in testing and previewing bars. Open your bar material and change Debug Porgress=false. Is there a second layer of bar usually called ‘buffer’? 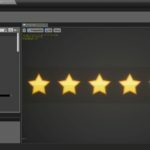 How can I make it work like a progress bar? I fixed the Debug Progress but I can’t find out how to make it work from there. Please read the documentation first and tell me which part is hard to understand aI will try to explain it better and fix the documentation. You have to chose first if you want to ue bar in UMG or 3d scene. 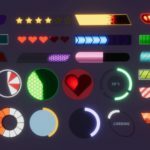 Yes can you make a better tutorial for stupid people, yours makes no sense how to apply it to HUD. Hi, I’ve spent a lot of time on preparing this very detailed documentation. If you have some troubles witch understanding then I’m ready to help, just point me on parts where it’s to hard. So tell me please where it makes no sense. 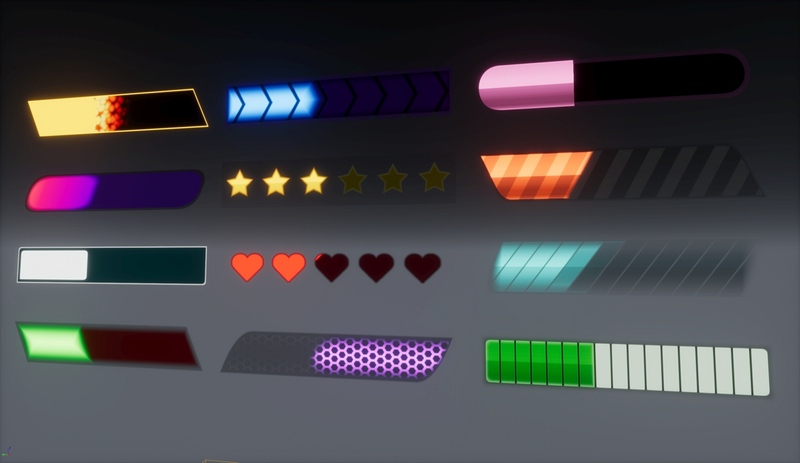 You should read the USING ROBO BARS IN UMG and check the hud implementation (Demo/Blueprints/BP_Hud) on the example map. 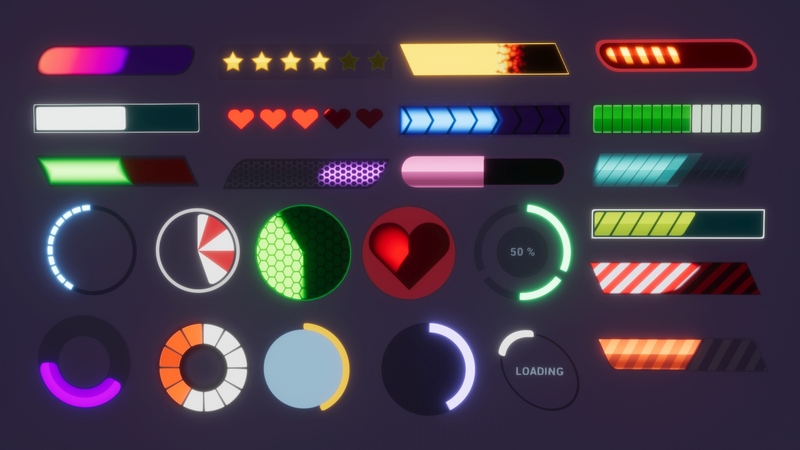 How would I go about changing the number of stars/hearts/etc when using a shape layer? 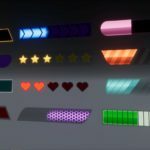 Create a tutorial where you connect these bars to things like health, stamina, magic, experience. That is the biggest complaint here.. none of these people care about setting it up to use for your speed, they want to use it as a progress bar like in every other tutorial about creating health bars. 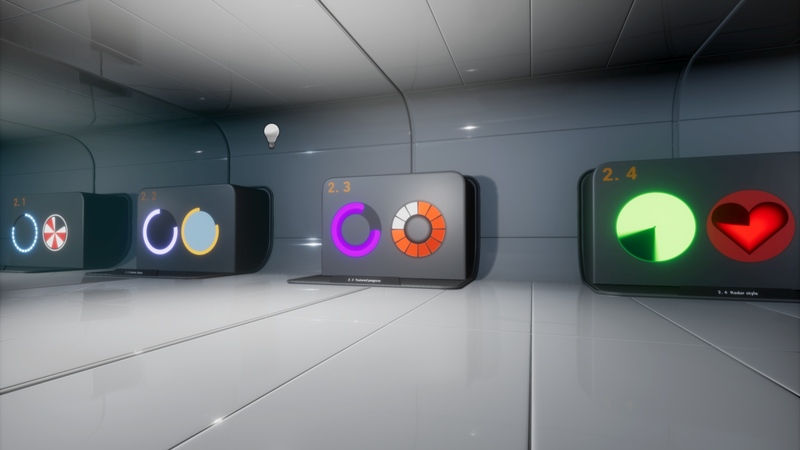 It is focused on ‘how to connect progress bar with your player variable’. 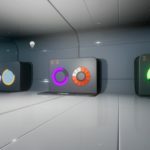 Speed is just an example of variable that is already available in player and does not require any any additional external mechanic like taking damage. 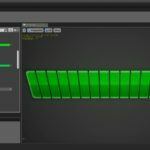 Ths tutorial has everything you need to know to use progress bars. Step 2: Create health variable attribute (float type) in character pawn. Step 3: Use ‘health variable’ in hud instead of ‘speed variable’. If I want to create a custom pattern how do I make a sdf material from normal texture? I’ve used 3d studio max to render mesh that simulating SDF gradient. A lot of 2d editors supports generating SDF textures from masks for example “distance transform” can be used in GIMP for this task. 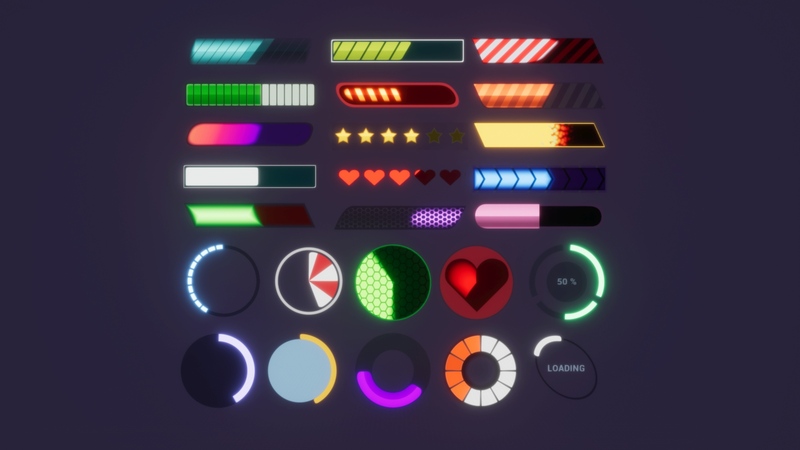 I’ve created simple generator in UE4 that helps to generate this textures from masks using material system, it will be available in the next update of package.